Our aftercare is thorough and tailored to each customer and marque, supporting those who select any vehicle from our Jardine Motors McLaren dealerships. Every location is equipped with state-of-the-art diagnostic and repair equipment, ensuring that we can pinpoint any potential issues with your model. 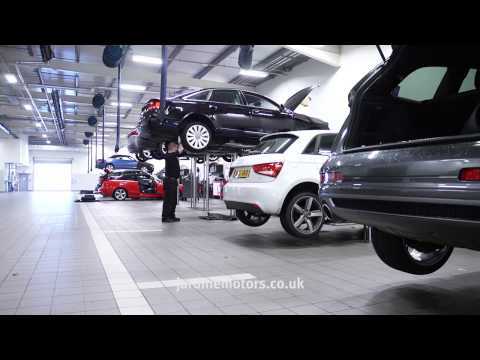 At many of our Jardine Motors dealerships , we promise to match or improve upon any equivalent servicing quotation from another local garage or dealership. You can additionally arrange a booking for your MOT at all Jardine Motors McLaren locations. Licensed and qualified technicians are trained to perform the test, verifying the full working order of your vehicle’s exterior and interior components. On passing, we will issue your MOT certificate with accompanying documents if any repairs and replacements have been made. Furthermore, we have a range of products to protect and care your McLaren. Book your servicing or maintenance appointment with Jardine Motors McLaren today.